Add some color to your coordinates. Choose from one of the built-in color options (such as classic, stoplight, and fire) or create your own! Just tell HeatmapTool the starting and ending colors, and we'll automatically create the gradient. Your data points have never been so colorful. Lots of data? No problem. You don't have time to wait for your heat maps to generate. That's why HeatmapTool was designed from the ground up to process large amounts of data very quickly. 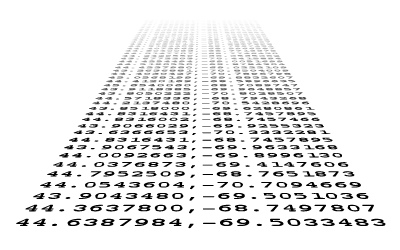 Give us thousands of coordinates, and within seconds we'll send back an accurate heat map. You'll be visualizing your data in no time. A server you can rely on. 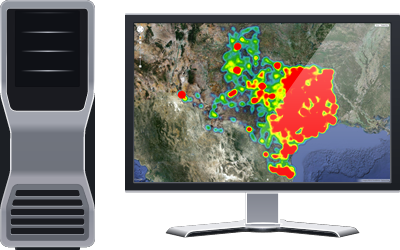 HeatmapTool generates heat map images on a Xen VPS located at a datacenter in Dallas, TX. This server has been optimized to handle your data quickly and efficiently, with over 99.99% uptime. And since the heat maps are created server-side, you don't have to worry about client-side compatibility. 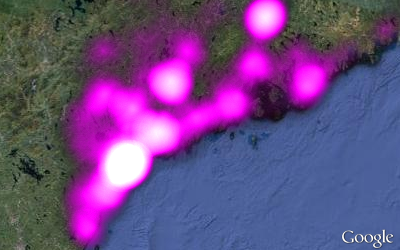 If the web browser can view an image, it can view our heat maps. Copyright © 2019, HeatmapTool.com. All rights reserved.